Serving Cape Coral, Fort Myers, Estero, Naples, Marco Island, Bonita Springs, Punta Gorda, Charlotte, Sarasota, Manatee, and Bradenton. 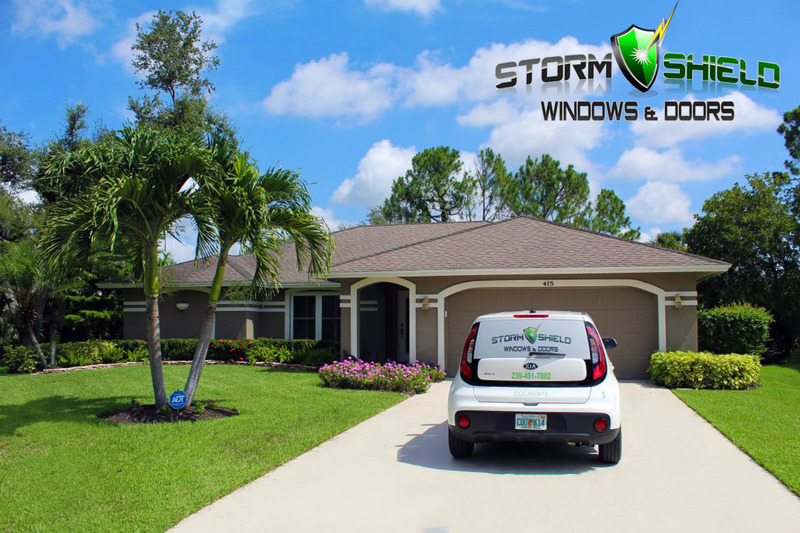 Welcome to Storm Shield, LLC., Southwest Florida’s leader in quality window and door replacement! At Storm Shield we focus on bringing you the best product, service, installation & warranty in the business. It’s our job to focus 100% on your wants & needs, and make certain that we exceed your expectations! 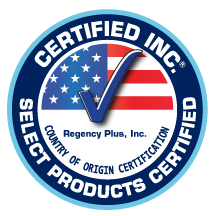 In partnership with Regency Plus Inc. we are able to offer the most energy efficient window on the market. Your investment will be protected by our exclusive “LIFE OF THE HOME WARRANTY” which covers the entire product as well as the installation, unparalleled in the industry. Every window, custom made to fit your openings, is made of maintenance free virgin vinyl, handcrafted from the finest components, and completed with our energy saving “MIRACLE GLASS.” Our complete line of windows by Regency Plus Inc. have achieved the highly coveted “MADE IN THE USA CERTIFIED” certification, with every window containing at least 97% domestic content, allowing us to maintain the highest level of quality control. Miracle Glass™ for super energy efficiency and safety Hurricane Glass™ for the coastal areas requiring the effortless storm protection and readiness of Impact Glass. Our installers are factory trained, thus providing them wit the necessary technical knowledge to install and service your new windows and doors with the highest level of quality. Being an Energy Star Certified product, our windows comply not only the industry’s standards, meet & exceed all current energy codes, but also help in making the world a greener place. Our energy efficiency windows will allow you to save an average of 40% on your electric bill, and up to 25% on your home owners insurance making them a great investment as the windows literally pay for themselves over time. Every project is done fully permitted and inspected, with testing done at and above 180 MPH to meet Miami-Dade approvals. Our windows are tested simulating design pressure wind speeds over 200 MPH to protect you and your home from any category 5 hurricane mother nature can produce. Our hurricane impact resistant glass is second to none. 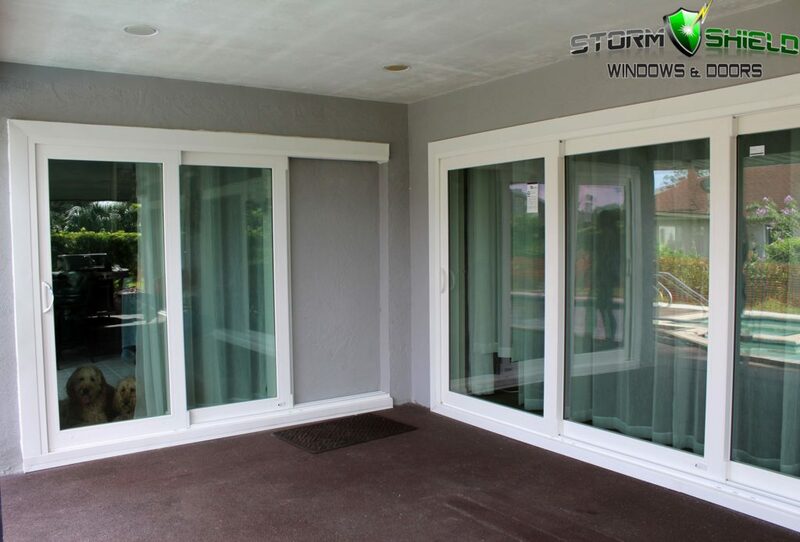 Our windows eliminate the need to install those heavy hurricane panels you have sitting in the garage or covering all your windows and doors only to sit in the dark when a storm approaches. With Storm Shield windows in your home you’ll have safety, security & peace of mind. Our windows are not only virtually unbreakable, but they also help prevent break ins. In addition to the protection, insurance companies will provide you with a discount on your home owners insurance’s premium for protecting all the openings in your home with code approved hurricane protection. The same hurricane impact windows that protect you and your family from violent tropical storms & hurricanes is the same technology that will keep burglars & intruders out! The typical response time to a security alarm system is 10-15 minutes. Intruders & burglars are well aware of this so they are sure to be gone with your valuable before anyone even arrives. Storm Shield’s hurricane impact windows will protect you, your family & your valuables.